Volunteers are vital to the work of Autism Berkshire in a variety of roles, helping us to offer the widest possible range of services and support to people living with autism of all ages. They also help us to strengthen our links in the community by acting as our representatives and raising awareness of the charity and its aims. Whatever your skills or how much time you have to spare, we can find something you can do to help, whether that is helping with administration or other office work, assisting at our clubs for children and adults, organising and running fundraising events, writing and designing publicity material or taking photographs at events to create picture galleries for our website and for promotional use. We are particularly keen to hear from people who would be able to help at our youth groups in Reading, Bracknell and Slough, our social groups for autistic adults and helping on our stall at events we attend over the summer to raise funds, and for our Helpline service. Click here to download our Volunteer Handbook, which explains what is involved in volunteering for us and how we support our volunteers. Click here for our volunteer application form, which should be completed and sent to us at contact@autismberkshire.org.uk or posted to our office. Karen Hanna is one of our team of volunteers. She helps at our Bear With Me social group for autistic adults in Maidenhead and used to be a member of the team at our Windsor Youth Group. She says: “I have really enjoyed volunteering for Autism Berkshire. I volunteered at the Windsor Youth Group and I found the experience to be immensely rewarding and a lot of fun. “The Autism Berkshire staff who ran and were involved in the group were friendly, supportive and very knowledgeable about autism and it was a pleasure to work alongside them. I am now looking forward to volunteering for one of Autism Berkshire’s adult social groups. “I have an adult sibling with autism and, when my siblings and I were growing up, there were no organisations at the time (in the area we lived in) to which my parents could go to for advice, information and support. 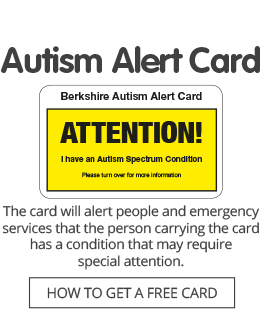 “Since living in Berkshire and becoming members of Autism Berkshire, my mother and I have really appreciated being able to attend the free seminars on autism which the charity runs.